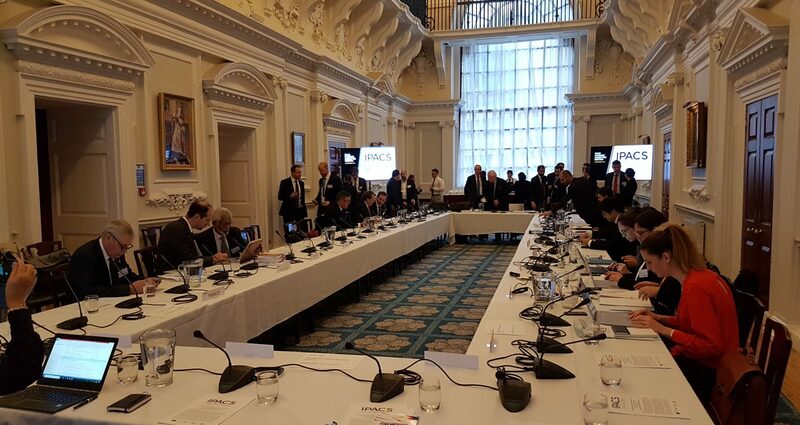 The Global Association of International Sports Federations (GAISF) has highlighted its commitment to play a key role in the fight against corruption in sport and the promotion of good governance by taking part in a three-day anti-corruption meeting, held by the International Partnership Against Corruption in Sport (IPACS) in London. GAISF’s intent was signalled by the seniority of its delegation composed of Senior Vice President Dr Raffaele Chiulli and GAISF Council Member and Treasurer Marisol Casado. Formed at the IOC’s International Forum on Sport Integrity (IFSI) in February 2017, IPACS is a multi-stakeholder platform bringing together intergovernmental organisations, international sports organisations and governments, with the aim of strengthening and supporting efforts to eliminate corruption and promote a culture of good governance in and around sport. The IPACS core group and founders is comprised of the IOC, the United Kingdom Government, the Organisation for Economic Cooperation and Development (OECD), the Council of Europe and the United Nations Office on Drugs and Crime (UNODC). Optimising the processes of compliance with good governance principles to mitigate the risk of corruption. The progress of each taskforce was announced at the steering committee meeting and the high level event in London brought together senior figures from governments, sports bodies and international organisations to discuss sport and its vulnerability to corruption. IPACS is enabling dialogue between the different stakeholders to share best practice and work towards practical solutions. Attendees included IOC Member Baron Pierre-Olivier Beckers-Vieujant; Dame Katherine Grainger, Chair of UK Sport; Roxana Maracineanu, Minister of Youth Affairs and Sports of France; Gabriella Battaini-Dragoni, Deputy Secretary-General Council of Europe and Bill Beaumont, President of World Rugby.